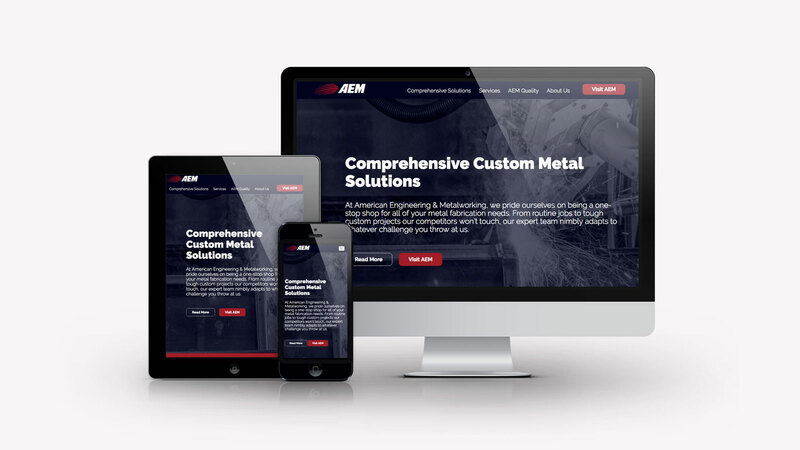 One word – AEM get’s it done. Telling that story on the AEM website and through the motto, tagline and values was missing before we showed up. While AEM’s owner Kirk McCauley could articulate this well in conversation, it wasn’t captured in the marketing voice and visuals of AEM. No problem! We changed that. And the resulting measurable ROI made everyone happy. We also wanted to show how unique AEM was from other manufacturing companies. Through our design, we gave them an elevated site that helps convey their out-of-the-box thinking.